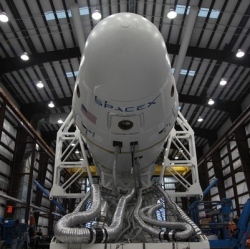 On January 9th SpaceX stated that they will launch US astronauts into space in 2015. “We want to know when commercial companies are ready to fly their crew at their own risk,” said Ed Mango, manager of NASA’s commercial-crew program. SpaceX will not be launching NASA astronauts into space. They will be launching their own private astronauts aboard their Dragon capsule that will sit atop a Falcon 9 rocket. With this launch, SpaceX will demonstrate to NASA that their Dragon capsule and Falcon 9 are ready for human space flight without putting NASA astronauts at risk. The astronauts will stay in space a total of 3 days but will not dock with the international space station. SpaceX is beginning internal discussions about who will take part in this historic flight.